I just bought a Burny LP Custom from Japan. I'm trying to find any info on the model. The seller listed it as a 1999 RLC-58 and that it was a limited production in Japan only. The only serial number I can find is in the bridge pickup cavity. Stamped on the wood is: F 99 10638. Hard to say without pictures but Id guess a RLC58 would be a chinese made Burny. 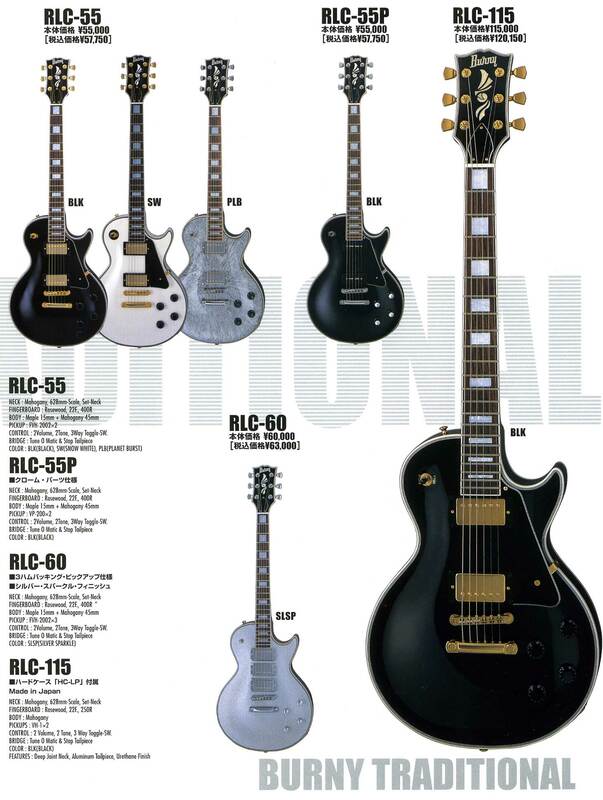 The price is usually quoted in the model number and even in the early nineties the Japanese made ones were RLC70's (70,000 yen) I dont think they'd made any cheaper ones in Japan, the chinese made ones with the 3 screw truss rod covers were listed as RLC55's when they came out. Why does the seller think it's a japanese limited model? You could always check the Fernandes catalogues see if it's on there but I'd guess it was a chinese made RLC55 like this one maybe? Here are some pictures. I don't know how he got the model designation. The guitar has good weight and plays very good. I'm hoping it's Japanese.